Are your wedding bells ringing this winter? If yes, you are all set for a magical experience! Winter is the most favored wedding season. And why not? One can comfortably don those richly embellished velvet and silk gowns or lehengas as well as bold makeup without fretting about the heat and sweat. Oops… Are we making an over-statement? With the cold breeze comes dry skin and chapped lips that may mar your makeup. You can dare that too, with the wide range of beauty products at your fingertips. Heat or cold, get set for the photo perfect you! 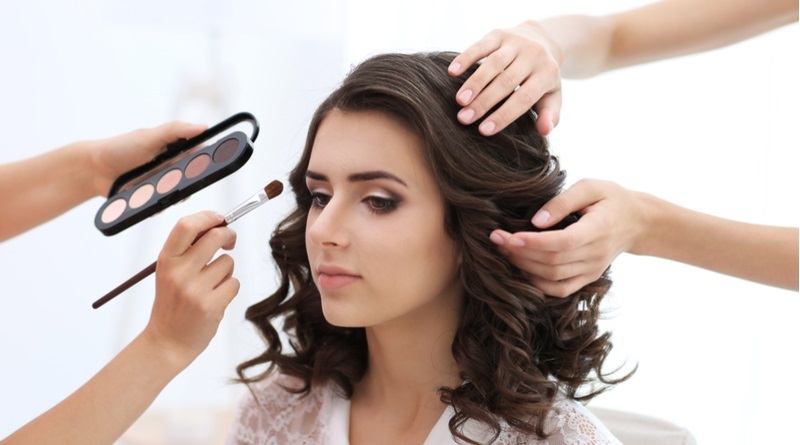 Here are a few tips to help look your lovely best. That fairy tale look you aspire gets easier if the skin is prepped up in advance. Thirsty skin needs that you drink ample amount of water and keep it well hydrated. Regular exfoliation helps to do away the dry skin. A good moisturizer makes skin supple, soft, and radiant. Lip care becomes so easy with moisturizing lip balms. So, start smart to create that immaculate canvas. Primers serve as skin hydrants and softeners. Liquid foundations, concealers, and mousses as well as creamy highlighters and blushes are the best bargain where a makeup base is concerned. They hydrate the skin while working wonders at creating that angelic look you covet. Never use a foundation containing ‘SPF’ as it can spoil the flash effect of the camera, resulting in blurred photographs. A matte look is preferable over the glitter and shimmer during winters. 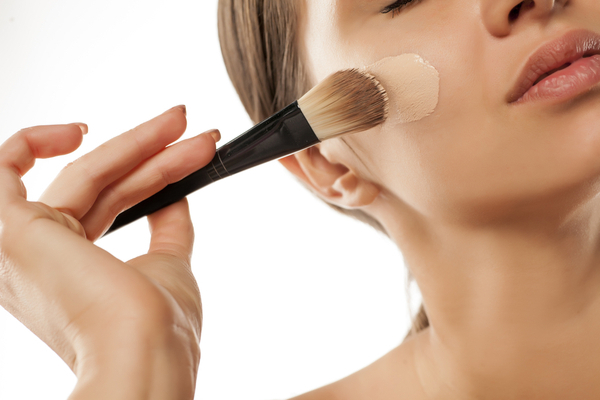 Minimal bronzer may be used just for face contouring and imparting that chiseled and sharp effect in photos. Makeup goes far beyond giving a perfect base. The eyes are the most striking facial feature and can be highlighted for that dolled up look. Winter weddings are best suited for the dramatic smoky-eye setting that works wonders and goes well with any ensemble. 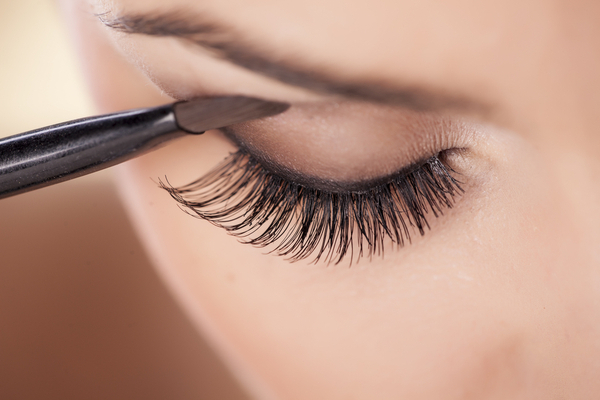 The alluring winged-liner and flirting thick eye-lashes should be achieved with water-proof gel based liners and mascaras to avoid spillage, smudging, and cracking. Refrain from brown liners as they give a pale look. A better option would be jet-black or deep-blue. Powder eye shadows are recommended over the creamy ones as they complement the matte effect. 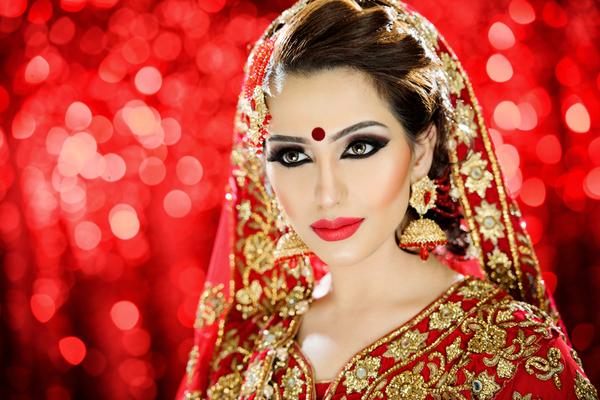 In this daunting season, deeper shades like bright reds and corals can never go wrong with bridal makeup and otherwise. They last longer and are a classy option. Lip liners give a precise definition and long-lasting colour to lips. Thin lips need to be given a plump effect with the help of lip liners. After the lip liner is applied to the lips, a generous coat of lipstick is applied. Lip gloss adds a subtle shine and a gentle smoothness thus completing the lip makeup. Every lady wants to look her best on her wedding day – a day she has been dreaming about! So, follow these tips religiously, and you may just nail it!